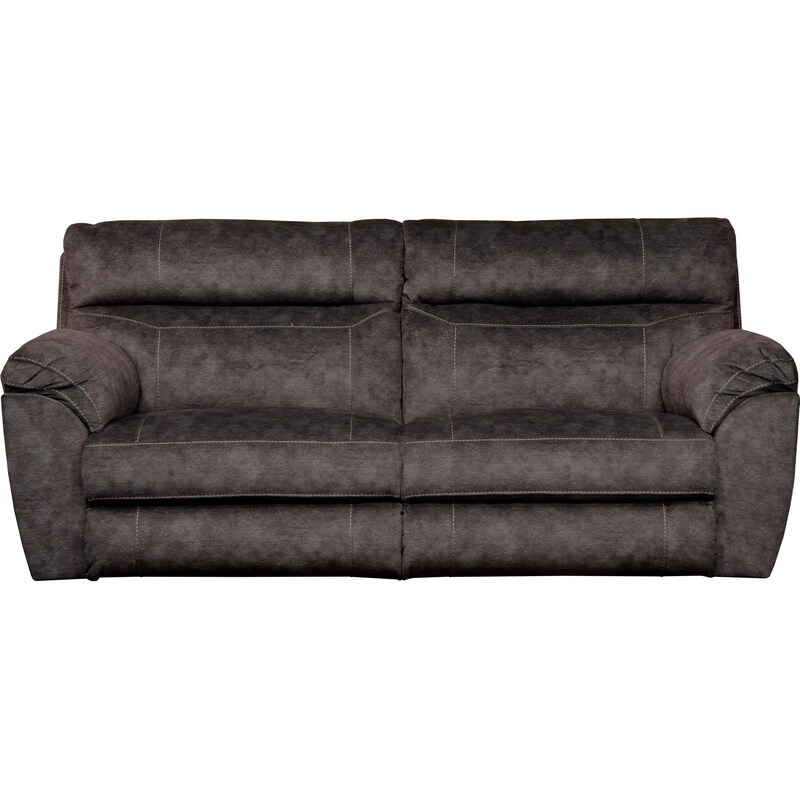 This reclining sofa has all the features you could want for your entertainment room. In addition to power recline and power headrests, this piece also has extra wide seats! The Sedona Power Headrest Lay Flat Reclining Sofa by Catnapper at Great American Home Store in the Memphis, TN, Southaven, MS area. Product availability may vary. Contact us for the most current availability on this product. This collection will bring comfort to your living room or family room at an affordable price point. Items in this group feature an extra wide seat design with power recline and power headrests. Choose the power lumbar option for even more customizable comfort. The seat cushions have Comfort Coil Seating featuring Comfor-Gel for a memory-foam-like sitting experience. Each piece is upholstered in an embossed suede fabric. The Sedona collection is a great option if you are looking for Casual furniture in the Memphis, TN, Southaven, MS area. Browse other items in the Sedona collection from Great American Home Store in the Memphis, TN, Southaven, MS area.